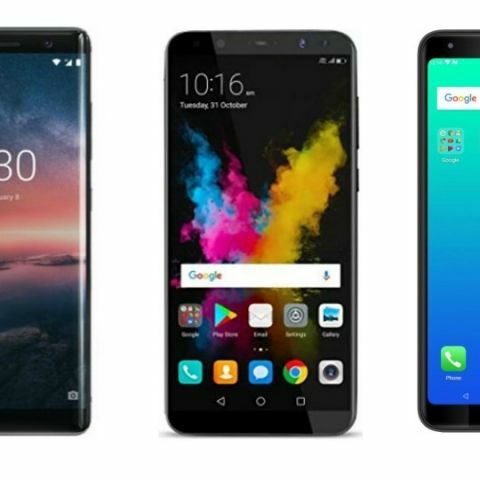 For today’s deals roundup, we have found some interesting deals on Flipkart on smartphones that are from brands like Huawei, Moto, Nokia and more. Today, Flipkart has a lot of discounts and offers on smartphones. The platform is offering up to Rs 12,000 off on exchange along with a 5% cashback for those who will pay using ICICI Bank credit card. The products we’ve listed down below are Honor 9i, Nokia 7 Plus, Moto X4 and more. The Honor 9i sports a 5.9-inch full HD+ display with a resolution of 1080 x 2280 pixels. The device is powered by Huawei's own Kirin 659 octa-core processor, which is paired with 4GB RAM and 64GB internal memory. If you’re looking for a smartphone with a dual camera setup then the Honor 9i will not disappoint you. It has a 16MP + 2MP dual camera set up at the back with 13MP + 2MP dual sensor at the front as well. Click here to buy. The Nokia 7 Plus was launched in India earlier this year in 4GB/64GB variant. The smartphone comes with a Qualcomm Snapdragon 660 processor. The smartphone is a part of Google’s Android one program, which means this device will be among the first ones to get an update. It has a 12MP + 13MP camera at the back along with a 16MP sensor on the front. Click here to buy. The Honor 9N sports a 5.84-inch FHD+ display with a notch on top at the front. The smartphone features a near-bezel less display, which offers a resolution of 2280 x 1080 pixels with 19:9 aspect ratio. Coming to the cameras, the selfie lovers will get a 16MP sensor at the front with a 3D beauty effect. At the back, it has a dual 13MP + 12MP sensors with the Bokeh effect. The device is powered by Kirin 659 octa-core processor. Click here to buy. The Moto G6 features a 5.7-inch FHD+ display with a resolution of 2280 x 1080 pixels. The smartphone is powered by a Qualcomm Snapdragon 450 octa-core processor, which is paired with 3GB RAM and 32GB internal memory. As far as the cameras are concerned, it has a 12MP + 5MP dual rear camera setup with a 16MP sensor on the front. It also has a face unlock function that lets you unlock your device with a glance. Click here to buy. The Micromax Canvas Infinity Pro sports a 5.7-inch HD display with a resolution of 1280 x 720 pixels. The device is powered by a Qualcomm Snapdragon 430 octa-core processor, which is paired with 4GB RAM and 64GB internal memory that is expandable up to 128GB. When it comes to the cameras, it has a dual 20MP + 8MP sensors at the front along with a 16MP unit on the back. Click here to buy.